Birthdays, Anniversaries or simply an excuse to celebrate! Whether you’re hosting an event for a large group or an intimate celebration, our venues provide the perfect location to make lasting memories. With large communal dining areas and plenty of space for a dance floor, you can party the night away without worrying about getting a taxi home. Best of all, your celebration doesn’t have to end after one night, as you can spend the whole weekend at our self-catering properties. Hollywood House is the ideal venue to create memories for those special celebrations. It oozes Hollywood glitz and glamour! From the moment you walk up the red carpet, you are transported to Hollywood and the decadent era of the 40's. Each of the 16 bedrooms are themed in memory of a Hollywood icon. Whether you wish to sing along with Elvis Presley or travel the yellow brick road to Judy Garland's room, Hollywood House inspires all ages. A unique feature of this house is the large dining conservatory, perfect for a celebratory dinner, which can be followed by a casino night. Hollywood House provides the venue for a special occasion like no other. Extra day guests can be invited to your celebration, for an additional cost. Shiningford is nestled at the side of Carsington Water in 5 acres of gardens, and offers a large dining room for your celebratory meal. Sleeping up to 34 guests in 15 bedrooms, with two hot tubs and a large outdoor swimming pool, this venue provides a country retreat for your special occasion. If you don't wish to cook, the courtyard and large gardens are fantastic for a hog roast or outdoor catering. The children's play area ensures that all ages will be entertained at your celebration. If your guest list is smaller, The Manor and The Stables can be hired separately to suit your group size. For the smaller celebrations, Ashbourne Hall can sleep up to 22 guests. The large house provides a light and airy dining conservatory for all guests to dine together. 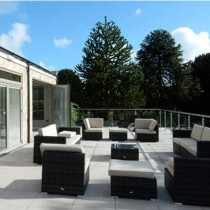 Tall glass doors open onto the walled courtyard with plenty of garden furniture and a hot tub. 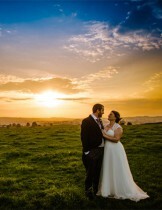 Ashbourne Hall is located a few minutes' walk from the market town of Ashbourne, which has many shops, restaurants and bars so that your celebration can continue throughout the weekend. 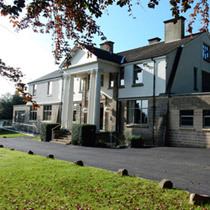 Favourable for all, Ashbourne Hall has facilities for assisted wheelchair access and suitable bedroom and shower room. Standlow is situated 3 miles from Ashbourne, above the countryside village of Kniveton. It can accommodate a mixed size of groups for celebrations. In total, Standlow can sleep 42 - 52 guests, but can be split to accommodate smaller groups. High View Grange sleeps 14/17, with a large dining/kitchen and hot tub on the terrace. The Barn and cottages provide accommodation for families and smaller groups individually, or can be combined to suit your numbers. The Barn provides an open-plan dining area for 20+ people to relax and celebrate. The Barn also has a terrace with a BBQ and hot tub, to make your occasion extra special! If you want to spend more time relaxing and less time cooking, we can help! For £28 per person we can organise a 3 course meal for your group, to be served in the comfort of our holiday cottages. And best of all, you don’t have to worry about the washing up afterwards! "An idyllic setting which makes us want to come back time and time again!" 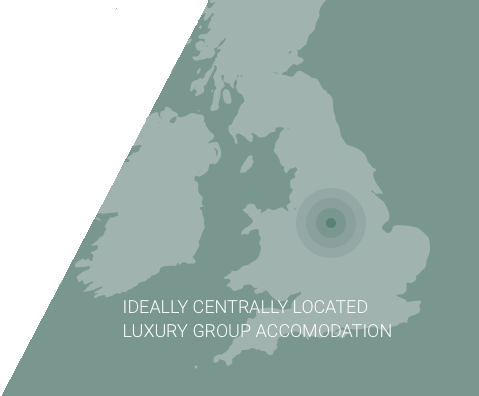 Complex of Luxury Self-Catering Cottages, spacious farmhouse and dining barn with hot tub. 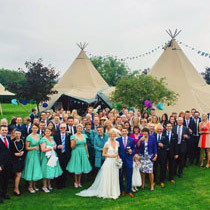 Situated in 7 acres and accommodating up to 52 guests, Standlow is the perfect venue for weddings & large gatherings. Standlow Lane, Kniveton, DE6 1QZ. "Stunning venue with swimming pool and hot tubs, at the side of Carsington Water"
"The perfect place to stay and celebrate"
"5* luxury self-catering house, within walking distance of the centre of Ashbourne, Derbyshire"
Ashbourne Hall has ten bedrooms and eight bathrooms/wet rooms to 5* standards with a contemporary feel. This large impressive property can accommodate up to 22 people. Cokayne Avenue, Ashbourne, DE6 1EJ. Fancy trying something different in the Peak District? Experience some of the best climbing in the country.